Lulu’s angry with Shadybrook’s head doctor for not notifying the family of Luke&apos;s departure. He reminds her the program is voluntary and Luke had every right to leave without informing anyone. The doctor points out that Luke hasn’t accepted his disease and left after 15 minutes, in a cab. Lulu is determined to find her father. Brenda’s not happy with Sonny&apos;s ultimatums, and feels he&apos;s drawing a line in the sand between her and the kids. She wonders what else she can’t weigh in on. Dante interrupts them to give Sonny an update on the Mabby situation. Brenda wonders if she’s supposed to leave, but Sonny allows her to stay and hear. After Dante leaves, Brenda complains that she doesn’t know what’s going on with Sonny’s kids and something has to change. Johnny wants to call the police, but Anthony points out that the hit woman was killed in his apartment with his gun, thus making him an accessory. John realizes he’s stuck and wants to get rid of the body. However, Anthony already has that taken care of and is ready to teach John a lesson in how to turn this into his advantage in his war against Sonny. 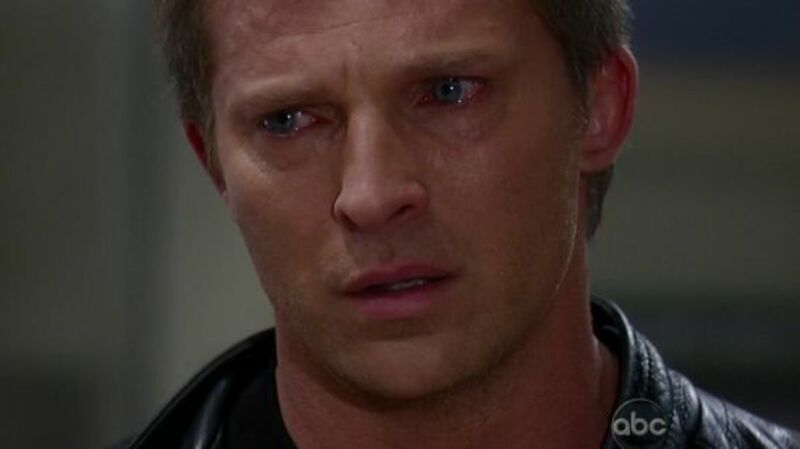 Michael tells Jason to let him come work for SaSon, but Jason says it will never happen. Michael hates that they think he’s a helpless kid who needs to be protected. He swears Johnny promised not to go against SaSon if Michael worked for him, but Jason feels Johnny just said what Michael wanted to hear. Michael swears he would never let Johnny use him against his family and he needs to live his own life. Jason informs Michael what he’s doing is wrong. He’s going to end up hurting himself and those he loves, but Jason won’t control him. Jason will let Michael make his own choices, even if he disagrees with them. Jason lets Michael know that he can call him if he ever finds himself in trouble. He promises to never turn his back on Michael. Kristina wants to complain about Sonny to Dante, who’s surprised at the way she’s dressed. Kris explains that Maxie helped her and her clothes reflect how kids her age dress. She finally tells him she has feelings for Ethan. Dante brings up his marital status and Kris brushes that off and sings Ethan’s praises. She doesn’t want Sonny to freak out and asks Dante to talk to him. Alexis shows up at the penthouse for a Davis girls cheering up party for Sam. She warns Sam that Molly is still on a baby kick. Talk turns to the CarJax custody issue and Alexis rambles about the dangers of SaSon’s life, but catches herself and apologizes to Sam, who understands her mother’s concerns. She claims Jason doesn’t even know what would make him happy. Alexis tells her whatever Sam decides, she’ll support her. Molly shows up, and starts in on baby names for Sam. Sam humors her, while Alexis tells her to write a story about them. Kristina shows up and Alexis freaks out at the outfit. Kristina spins her age and how kids dress now, but Alexis feels it makes her look like a hoochie mama. Molly weighs in saying she likes it, but Sam swears to stay out of it. Kristina points out that she can wear what she wants, but Alexis reminds her she pays for everything. Jason comes home to find the Davis women still arguing about Kris’ outfit. Sam sends them home and Jason tells her he might have lost Michael. He mentions that he ran into Liz on his way home and wonders if it’s worth giving up someone to protect them. 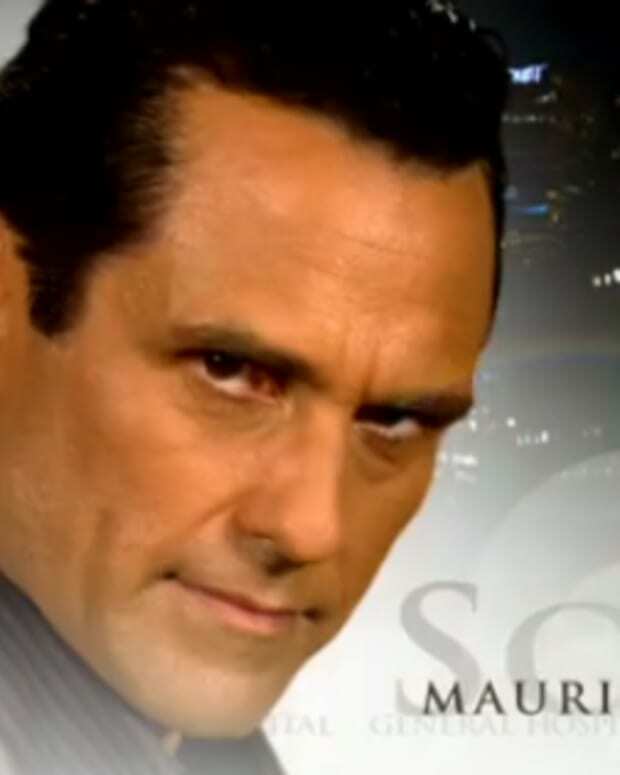 He explains about Anthony and figures the only way to stop Michael from working for the Zacchara&apos;s is if they’re dead. However, he’s not sure he wants to do that, because Michael will turn against him. Sam wonders if it’s worth losing Michael to save him. Lulu gets home and explains to Dante that Luke is gone. She attempts to contact Spinelli to ask for his computer help in finding her father. She’s mad at herself for pushing Luke, because she&apos;s scared of what will happen next. Dante wonders where Luke would go and thinks he won’t be easy to find. Lulu knows he’ll be covering his tracks, but she’s determined to find him and bring him back. Dante wonders what will happen if Luke doesn’t want to return to Port Charles. Sonny tells Brenda that he wants to be married to her and they need to find a compromise, because they won’t always agree. He wants her to come to him about the kids and promises to listen. However, he doesn’t want her disagreeing with him in front of the kids because they need to present a united front. Brenda says it will be hard not to speak out. Sonny reminds her that she can’t hear about the business. Brenda wonders if Carly knows about the business and thinks Sonny doesn’t trust her. Sonny informs her he doesn’t want her to feel angry or shut out. Michael tells Abby he’ll always be grateful to Jason, but he has to make his own choices. Abby’s surprised at Michael’s selfishness. She points out that Jason went to prison because he loves Michael and thinks of him as a son. She continues by saying that he just begged Michael not to do something, but Michael refused. She mentions that Jason’s still dealing with grief and shouldn’t have to worry about Michael. She feels he needs to give something back to Jason and honor his wishes by finding a life outside the mob. Michael wants the same perks as Jason, but Abby tells him that Jason has that by being a mob killer. Michael is fine with that because he grew up in the mob and it’s a perfect fit for him. Abby says it&apos;s not a perfect fit for her. She doesn’t want to be around the mob and asks him to forget the mob for her. He doesn’t want her to tell him what to do even though he loves her. Abby tells him to leave, so he does. Sonny makes a date to check out the ferries with Brenda and Alec the next day. Meanwhile, Anthony has his men leave the dead hit woman in Sonny’s office.